Floor model heater. 14.8KW, 240V, PH1. Includes 130 lbs of stones. Size: 19 7/8"w x 17"d x 27 1/2"h. The Club model heater replaces the FLC model floor heater. Club model uses Griffin digital control or manual wall control. 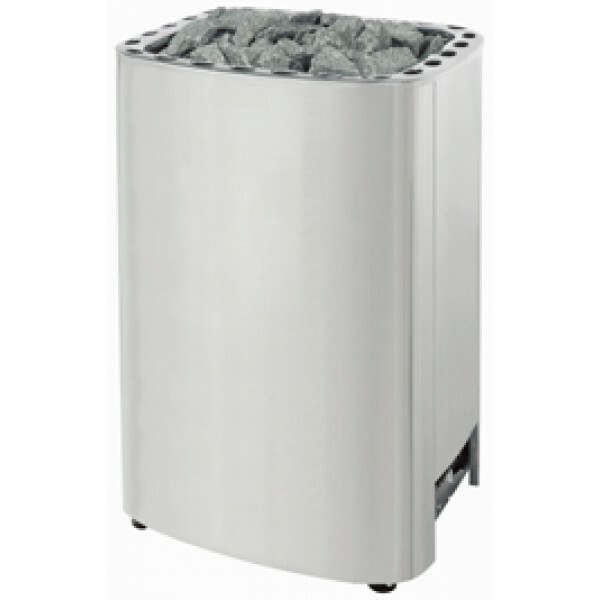 It is entirely made of stainless steel with stainless steel elements for durability and long life. Ideal for large Saunas and commercial health clubs. Available in 10, 12.5, and 15 KW sizes. 132 lb. stone capacity. Wall Control or Control and Contactor not included. Compatible with F-2T/FX404 or Griffin CG170-U1 controls.